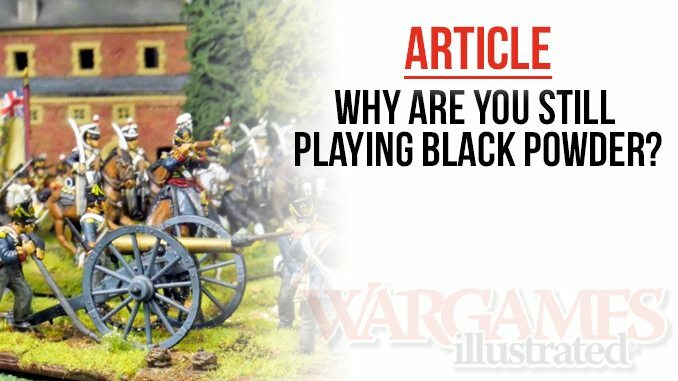 Wargames Illustrated | Why are you still playing Black Powder? Home » Articles » Why are you still playing Black Powder? Architect of Victory (WI354) author Steve Wood, of Arcane Scenario fame, also penned a recent article for his blog (decorated with photos from his WI article – which we kindly let him use ; ) entitled ‘Why are you still playing Black Powder?’ Read the article below, and let us know what you think. I had intended to write an updated guide to batch painting British Napoleonic figures based around my latest project, the 28th North Gloucestershire Regiment. I’ve even gone so far as to make some step by step videos that I hope to post. However, rather than jump right in to the painting, I thought that I would first give some context and background to my project. I’ve been prompted by the number of questions that constantly appear on the social media feeds and forums that I subscribe to, as much as anything else and I hope that the series of posts will be useful to newcomers to the hobby. I think that veterans in the hobby forget just how difficult and daunting it is for newcomers to get into this strange hobby of collecting and painting Napoleonic figures, or for that matter, any period of history. There is so much material out there and whilst the internet makes it easier to access this material, there is a lot of conflicting advice and some very forthright views that can be counter productive. I hope that the following helps although I am conscious that I am just adding my own forthright views to the mix! To be clear, I have decided that I am painting and collecting 28mm war games figures to be used primarily to ‘play’ wargames with my friends using Black Powder rules. So before you even buy a pack of figures you need to decide what scale figures you are going to use and what rules set you will use. A good place to start would be to talk to the people that you intend to wargame with and see what rules sets they are using. When I first came back to the historical side of the hobby, following a long period spent playing Sci Fi games, I was looking for a rules set that I could easily learn and play. I actually started with Sharp Practice version one. This had two attractions. First of all you don’t need that many figures to start gaming. Indeed, I started with just 24 Victrix figures. Most importantly, there were a couple of guys at the local club who were playing Sharp practice and they helped to explain the rules and provide some extra figures when I needed them. Additionally, the rules had a certain charm, humour and playability about them that resulted in a great game, time after time. However, as my army grew, I was looking for something that would allow me to field a brigade or division. Black powder happened to be published at that time. It was and still is, one of the best looking rules sets out there. It was also easily readable and obviously designed for the joy of playing rather than simply trying to recreate every drill tactic and nuance of the Napoleonic era. In fact, it’s not even a rule set specifically set in the Napoleonic era, more of a general guide to playing war games in the whole of the ‘Black powder’ era. Brilliant! I would only need to learn one basic set of rules and I could be gaming the AWI or fighting Zulus a hundred or so years later. Even better, it was co written by Rick Priestly and Jervis Johnson and those two know more than a thing or two about not only how to write a rules set but also how to set the right tone. In a recent blog I mentioned that I was part of a demonstration game at a Napoleonic Day in, of all places, Bingham. Most of the people that visited were ‘non wargamers’ and were fascinated by the spectacle of so many model soldiers on the table. The game was very loosely based on the Battle of Quatre Bras and most of the figures were representative of the combatants present during the battle. That is about as close as I have come to refighting a historical battle. Most of the games that I play are at the White Hart pub on a reasonably sized table, covered in a battlemat with a few bits of scenery placed around. Occasionally, we set up a scenario, a river crossing or delayed deployment of troops being the two easiest but rarely is the game based on a real battle. However, the Black Powder rules provide you with a great introduction to Historical wargaming with simple rules to learn and an emphasis on enjoying the game. Table top General directs his troops! Once you have decided on a rules set, some of the decisions are then made for you. What scale of figures do I use? Black powder is designed for 28mm but will work with most scales including 1/72nd scale or 15mm. I like 28mm scale. 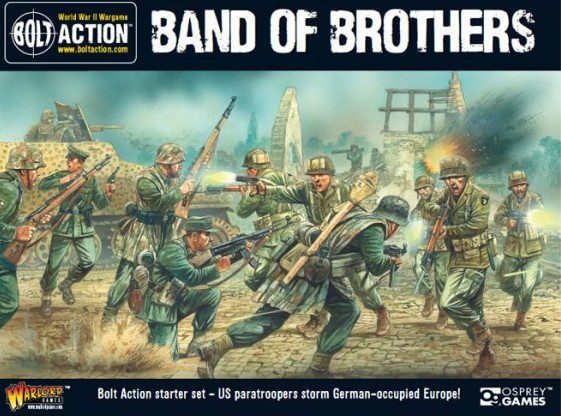 There’s a fantastic range and choice of figures out there in 28mm, both in plastic and metal. If you prefer something else, go for it. Again, I suspect that you will need to consult with your existing or prospective gaming buddies. If they are already using 20mm figures it makes sense to join them. But, I don’t think that you will go far wrong with 28mm. Basing is a thorny subject – but guidance appears in the rules and I’ll pass on my advice in this series of articles later. So, how many figures do you need in a unit? Again, the answer is in the rules set. A normal unit is 24 figures but this isn’t as rigid as you may think. We often use half sized units to play big games on smaller tables. The only important issue is that there should be some parity with your opponent. I’ll pass on my thoughts on this in a later blog when I cover basing. What army are you going to build? To a certain extent this is the most difficult decision that you may have to make. Are you going to be collecting British, French, Austrian, Russian, Prussian, or one of the myriad of other Napoleonic states that were involved in the conflict. This decision is further complicated by having then to choose a campaign period. 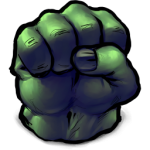 In my opinion, as far as the wargaming goes, it doesn’t matter. We happily play games where Pennisular British fight Waterloo Prussians. We have even had a Mexican unit on the table! It’s a difficult decision, because once you have committed, you will be painting an army and that will be a long term project. To be fair, there’s no reason why you cant have a pick & mix army with a unit from every nation. However, when it comes to research and collecting an army, I think that it will help if you have a common thread running through it. You don’t have to pick the ‘best’ army either. For many years of the Napoleonic period, the French were in the ascendancy and could beat all comers. At the other end of the scale, the Spanish Army, although potent on their day, don’t enjoy the same reputation in battle – they do have some lovely uniforms though! The beauty of Black powder is that the rules aren’t precious about this. There are some optional rules that you can give certain qualities one to army over another but there is nothing to stop you playing a ‘vanilla’ rules game where Spanish troops happily face, say, Russians on equal terms. Not realistic? It doesn’t bother me. As I keep repeating, the wargame is the social side of the hobby. It’s the chance to get those lovingly painted troops onto the table and see if the dice are kind enough to let you win a battle. If you are looking to start collecting and painting troops to wargame in the Napoleonic period, my advice is to start with the Black powder rules set. That is what my wargaming army is based on and whenever I start to paint a new unit, it is with these rules in mind. It means that I am clear about how many figures I need to make a unit, how to base them and what they will do in the game. Next week, I’ll explain how I research how to paint my figures. Regardless of which rules set that you do choose, I hope that you enjoy your gaming with your buddies as much as I do! Incidentally, the pictures used in this blog were supplied by Wargames Illustrated. The figures are from my own collection and they will feature in issue 345, the theme being Wellington and the Napoleonic period. Which leads me to an after thought. I’m a great fan of Wargames Illustrated (and was long before they accepted my article) – if you are thinking of entering the hobby, go and get yourself a copy of the magazine! it’s a great way to get an overview of what is happening in the hobby and I still think that the physical magazine is better than flicking through the interweb! Black powder never set my eyes on worst rules than BP. If your in New England USA , Black powder is played two Sundays a month at Adler Hobby on the second and last Sunday repeatedly and we encourage new players to join us , hoping someone reading this stops by for some fun gaming .